Steakhouse (New Delhi) Best in fine meats and cheeses from France, Italy, Spain, India. #Cheese Over 50 years and #Steakhouse is still providing the best in fine meats, as well as cheeses. Known for stocking French, Italian, Spanish, and Dutch cheeses, they also have some finer local cheeses to offer. We suggest you go for their selection from Pondicherry or Sikkim. 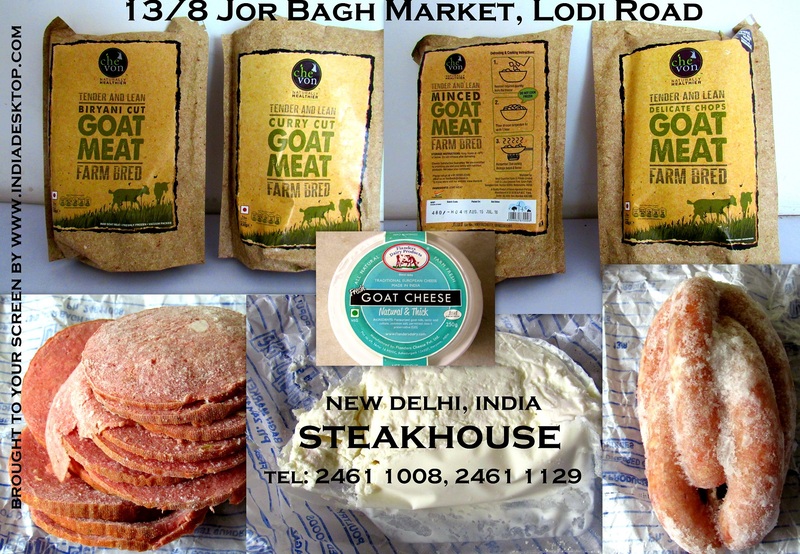 Contact: 91 11 2461 1008, 91 11 2461 1129 Prices: Ranging from INR 850 – INR 4800 per kg Where: 13/8, Jor Bagh Market, Lodi Road H.O.